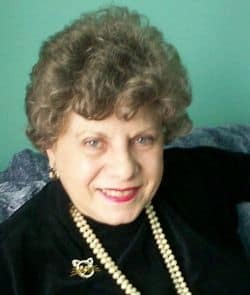 Our conversation today is with Barbara (Bobbi) Florio Graham, a long-time freelance writer, book author, indie publisher, and frequent contributor to Freelance Writer’s Report. This is our second visit with Bobbi (see our first one here) – because we wanted to discuss in a separate post her books that specifically center on writing. Writers-Editors Network: Bobbi, what inspired you to write Five Fast Steps to Better Writing? Bobbi Graham: I was hired to teach three-day writing workshops for Canadian government departments, and a local publisher suggested the materials I had developed for the course would make a good book. Writers-Editors Network: How did you come up with the book’s format? Bobbi Graham: I got the idea of five steps when I examined how I presented my course. I already had teaching materials from these courses, and also from the curriculum I developed to teach my 7th and 8th grade classes at The Latin School of Chicago – so it was just a matter of spreading everything out and deciding what should go where. Bobbi Graham: I loved writing the first chapter, describing the importance of preparation, with some ideas on spurring creativity. I teach a creativity course online, where I expand on those techniques. Bobbi Graham: I had a full freelance career, writing columns for several local publications and articles for newspapers and magazines. I hadn’t thought about writing a book. But I was approached by a local publisher who knew about my courses. The biggest challenge was revising each chapter after receiving the editor’s suggestions. This was before I owned a computer (which I bought in 1985, as soon as the original book was published! ), so I had to cut and paste the changes. Writers-Editors Network: Who should buy this book? Bobbi Graham: Writing clearly and concisely is an essential skill that isn’t being taught as well as it should be. I thought this book would be particularly helpful to students, but many professional writers have told me they keep it on their desks and refer to it frequently. And certainly every person who has to write for his or her job needs a book like this. Called the best PR primer we’ve ever seen by Writing for Money, and acclaimed as not only informative but practically indispensable by Canadian FundRaiser, Five Fast Steps to Low-Cost Publicity has been excerpted in Canadian Living, P.R. World, Canadian Writer’s Guide, SOURCES HotLinks, and many Canadian and U.S. newsletters. This manual is straight text, with no graphics or lengthy case-studies. It guides the reader through the steps necessary to identify your audience, understand the media, prepare for radio and TV, handle confrontational interviews, design brochures and other promotional materials, write effective letters to the editor, prepare for speeches and panel discussions, and much more. 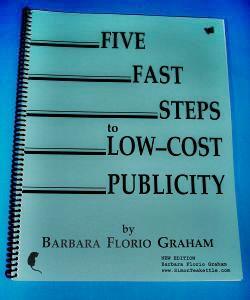 Writers-Editors Network: What was the inspiration for Five Fast Steps to Low-Cost Publicity? Bobbi Graham: I was hired by a national organization to teach media training workshops and prepare a manual for them to give their members. I drew up a contract giving me the right to adapt the materials for a book of my own. Writers-Editors Network: Is the book a direct duplication of your workshop? Bobbi Graham: Not really. I already had the outline of the workshop, but I added a few additional chapters to suit the audience I anticipated for the book: nonprofit organizations and small businesses. Since then, I have revised the book several times. In one of those revisions I added chapters on email, websites, and using the Internet for publicity purposes. Bobbi Graham: I had spent several years writing an entertainment column and listings for a local magazine, so I had seen every possible mistake inexperienced publicity people made. I had fun with these in a chapter called “Media Horror Stories.” It has appeared in many magazines and newsletters, including the journal of the Public Relations Society. Writers-Editors Network: Why did you choose a spiral binding for the format? Bobbi Graham: Since this was originally developed as a teaching manual, I produced it with a spiral binding, intending to eventually turn it into a 6×9 book. But the format was very popular and it sold so well I kept reprinting it as is. The advantage was that it’s easy to update, adding new pages to any chapter, or at the end. It’s not intended to be shelved at bookstores, so the lack of a spine isn’t significant. Writers-Editors Network: You said earlier that nonprofits and small businesses should buy this book? Bobbi Graham: Yes, it would be helpful to anyone who handles publicity for a nonprofit organization, really, for any size group, or a small business. Authors with their own books to promote also find it invaluable. Writers-Editors Network: How has your book-writing method changed over the years? 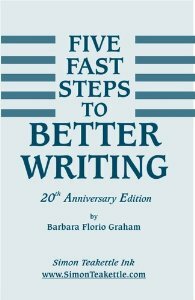 Bobbi Graham: As I noted earlier, I wrote my first book, Five Fast Steps to Better Writing, on an electronic typewriter that had just a bit of memory. I then had to cut and paste in order to follow the editors’ suggestions about where to expand the text. I vowed then I’d never do that again, and bought my first computer later that year. It was a Kaypro II with no hard disk, but it shaved more than 50 percent off my writing time. But I still love paper, with a pen that has a very fine point. I tend to take extensive notes whenever ideas come to me, including in the car, in the shower, and especially in my den recliner. I almost always take notes by hand in the evening, away from the computer, and transfer them the next day. I took Speedwriting decades ago, and have developed my own shorthand based on that, so am able to write quite a bit by hand if necessary. Bobbi Graham: My mother wrote poetry, song lyrics, and little stories to read to us at bedtime, so it seemed natural to me. She encouraged me to enter a Humpty Dumpty contest when I was nine, and when I won $5 and a free subscription, I was hooked! I never looked back. Bobbi Graham: I love to read, to go to the theatre, to listen to music (and attend concerts), and to spend time with friends. I live alone, but belong to two groups who meet for dinner once a month, and several others who meet every couple of months. I also love working on my website. Write something every day, and if you encounter a block (whether that’s a bit of missing information or not being able to write the next sentence), put that piece aside and work on something else. Always have several projects on the go at once, so you can work on the one you’re most excited about. Interesting, Bobbi! I’ve seen your name for years in the newsletter, so it’s nice learning more about you and your writing life. Dana, thanks for this feature and all you do for writers at all levels of freelancing. Thanks for your comment, Mary. I feel as if I know you as well. Isn’t it wonderful how the internet has allowed so many writers to connect with colleagues all over the world. I, too, appreciate Dana’s efforts to bring writers together and provide helpful information and new markets. Thank you both for your kind comments — and for sharing your advice and inspiration with our members and visitors all these years.